I have neglected my posts and am officially a ‘bad blogger’….. I do not know what caused my absence – perhaps I needed to hibernate, but with Spring just around the corner, frogs spawning and birds twiterpating I return to post anew! 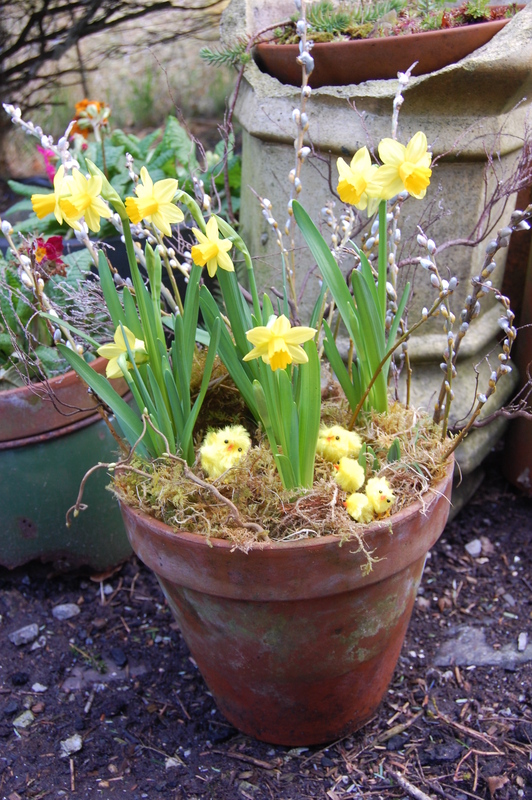 To get in the mood for Spring I include a photo of my humble entry into the Stoer Hall Spring Bulb Show! Goodbye little house…Welcome new home….